WHY CHOOSE TIM THE TREE-MAN? Currently our Principal Arborist, Tim Scott, is studying the Graduate Certificate in Arboriculture (Level 8) at the Faculty of Science at the University of Melbourne. He is one subject from completing this intensive study program. This University course is ranked internationally as the pinnacle of arboriculture study in the southern hemisphere by Arborists all over the world. This puts Tim at the forefront for all matters in relation to tree health (anatomy, biology, physiology, morphology, to mention some), pest and disease analysis, diagnosis and the latest treatments including biological controls. To compliment these qualifications, Tim (AQF Level 5 Arborist) has over 12 years’ experience in all aspects of tree services, and two years’ forestry service experience. Tim is also International Society of Arboriculture (ISA) Tree Risk Assessment Qualified (TRAQ). Tim the Tree-Man is a Qualified Contractor with the Queensland Arboricultural Association (QAA) and is licensed with Arboriculture Australia. Tim, while at University, has also attended advanced workshops on pruning and planting, presented by a world leading Doctor in Arboriculture. Our team takes pride in the work completed at every job-site and endeavours to provide the finest quality work in every aspect of the job. The services provided are complete tree removal, land clearing, pruning, emergency storm damage and stump grinding, for domestic, commercial and government customers. NOTE: Don’t undertake unnecessary pruning, cheap or otherwise, that may damage your tree’s value without consulting your tertiary educated Arborist for advanced techniques. Our team possess the training, experience and people skills to professionally liaise with the public and our customers to ensure all their needs and safety are met. Tree Risk Assessments and Arborist Reports and other types of reporting services are available which can assist with applications to Council, QCAT and for development. 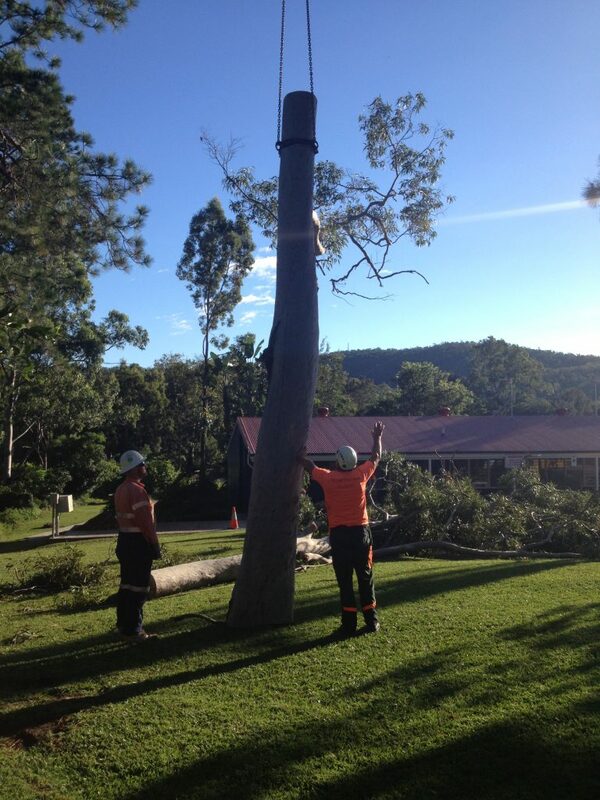 Insurances – Tim the Tree-Man is fully insured, with $20M Public Liability, $5M Professional Indemnity and WorkCover. We provide you with these insurance documents at the time we email your quotation. Health and Safety – Tim the Tree-Man acknowledges that this industry is dangerous, which is why our safety is your safety. Tim the Tree-Man only prunes to Australian Standards, AS 4373-2007, and does not partake in ‘tree lopping’. Correct pruning of a tree is crucial for the health, safety and longevity of the tree. 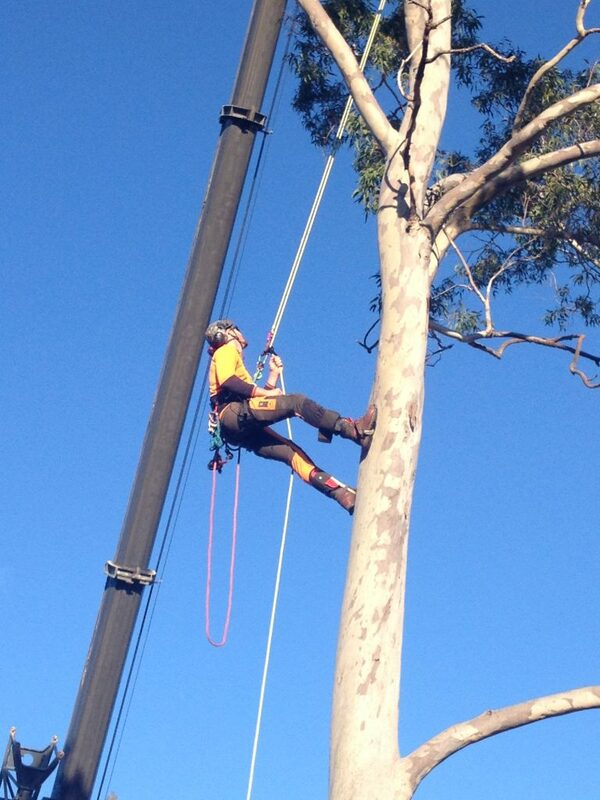 Our climbers will not use spikes on any tree unless it’s to be removed. 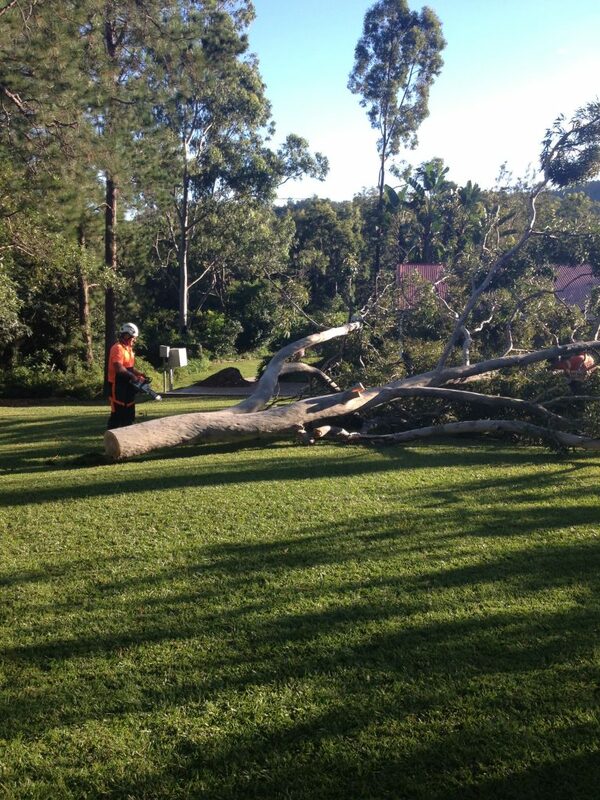 Tim the Tree-Man is the team to assist you with any and all storm/emergency tree work. 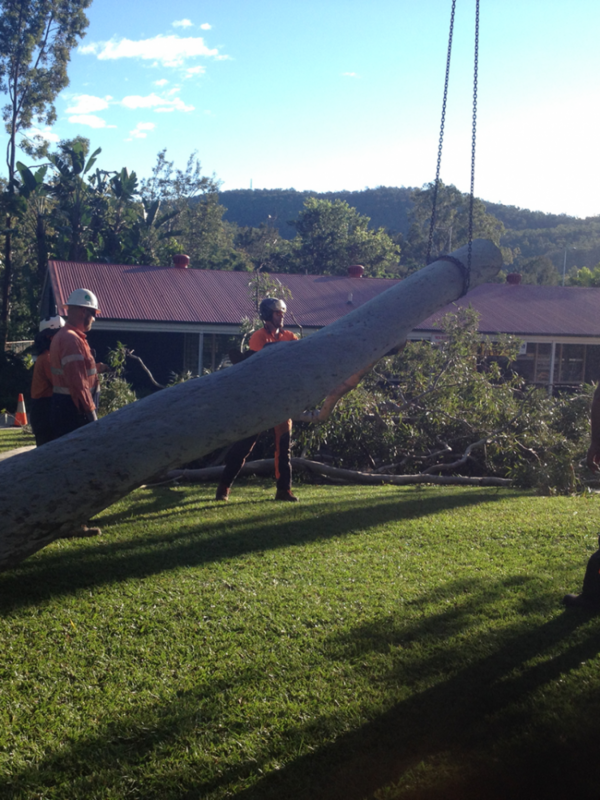 South East Queensland experiences its fair share of wild weather, bringing down trees, branches or debris causing damage to your property, your car or home unexpectedly. Once a tree has been removed, it is common to have the stump ground out. Leaving the stump can potentially create a trip hazard, encourage unwanted critters into your property and be quite unsightly.